Matthew Govan, at the forefront of Maine’s nascent Collaborative Law community, received his initial Collaborative Law training from the Florida Collaborative Trainers and from the Massachusetts Collaborative Law Council. He attends continuing trainings regularly, most recently in May 2015. He is a member of the International Academy of Collaborative Professionals, and is a founding member and board chair of the Maine Collaborative Law Alliance and is active in the Seacoast Collaborative Divorce practice group. Matthew is also a trained mediator and has a Master of Social Work degree. Maine does not have a large Collaborative Law bar like its neighboring states of New Hampshire and Massachusetts, where there are strong Collaborative Law movements. However, each year, with more and more Maine lawyers being trained in the principles of Collaborative practice, growing costs of litigation, and dissatisfaction with the family courts, lawyers and litigants alike are looking for more satisfying alternatives to the traditional family law processes. This paradigm shift is likely to leave the exclusively traditionally trained lawyer uncomfortable and in unknown territory. It is for this reason that choosing the right attorney is paramount to success for divorcing parties engaging in the Collaborative divorce process. At minimum, a Collaborative divorce attorney should complete a basic multi-day Collaborative Law training, continue to participate regularly in advanced Collaborative law trainings, and participate regularly in Collaborative practice groups with other Collaborative-trained professionals (other attorneys, financial professionals, coaches). In addition, because mediation skills are essential to the Collaborative process, many Collaborative law attorneys are practicing mediators who have participated in formal mediation training. 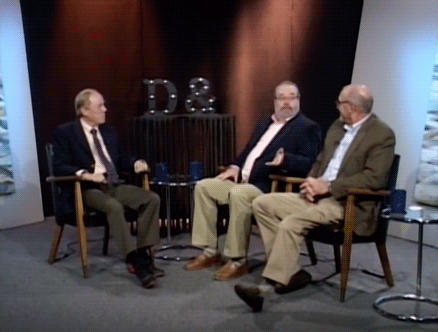 Two minutes into this October 2016 episode of The Derry Rundlett Show on CTN, Derry and his guests, Attorney Matthew Govan and Certified Financial Planner John LeMieux, discuss Collaborative Law. If you have any questions or comments, feel free to contact us!